Like many people I thought Carnival in Rio de Janeiro in Brasil was just one giant party over 5 days. In fact, Carnival in Rio consists of a number of different events (samba parades, balls, and blocos). 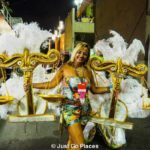 Here are my top tips for Carnival in Rio if you are thinking of going to the greatest party on Earth in the future. 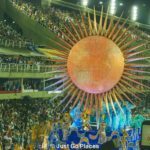 There are four days of samba school parades at the Sambadrome, followed by the choosing of a winner and 9 runners-up who will strut their stuff in the Champions’ parade at the Sambadrome the following weekend. There are also balls in the tradition of Venetian balls. The Copacabana Palace’s legendary Magic Ball has a full-blown red carpet entrance which my friends arrived in time to watch. The other balls are neither particularly pricey nor exclusive. For example, the Scala ball happens every night of Carnival. The Gay Gala ball is so famous that it is broadcast to the rest of Brasil. There are lots of blocos (street parties) around the city spread out over mainly the 5 days. 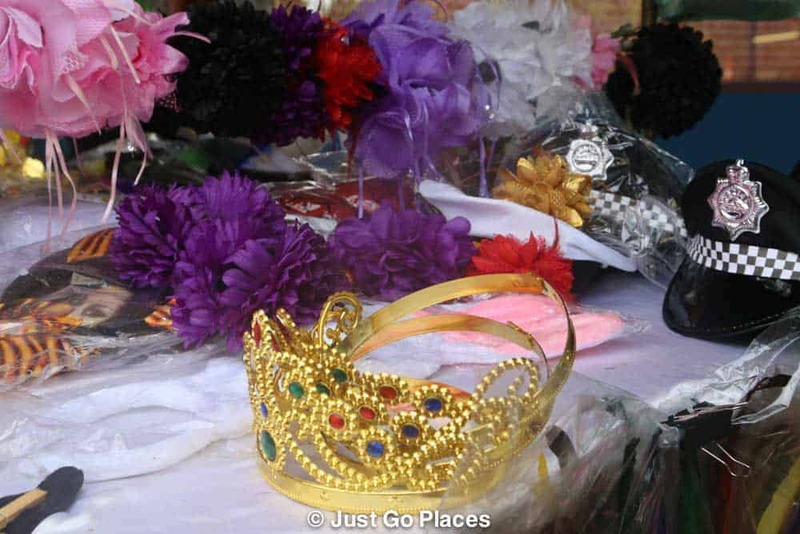 For Carnival 2016, there were 505 official licensed blocos and countless other spontaneous street parties. Not all the streets were busy at all times. The city lists the official blocos and everyone is welcome to attend. At the blocos, you can either watch from the sides or join the parade. 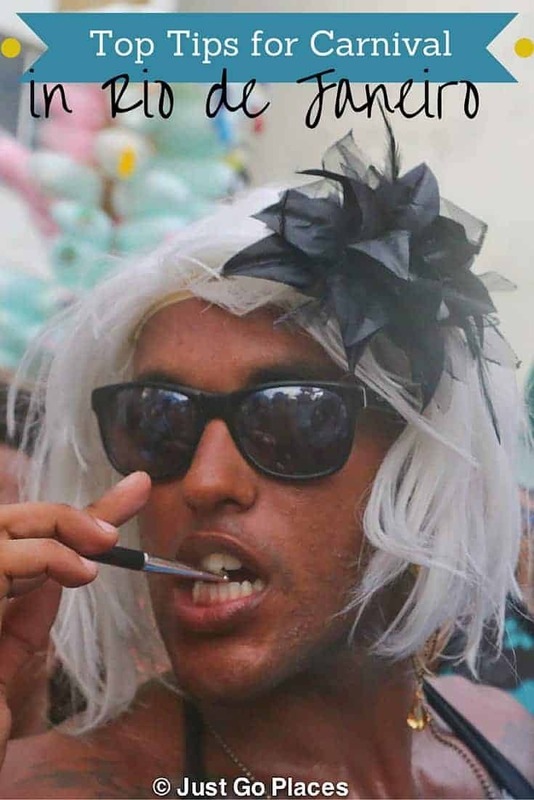 If you are going to carnival in Rio, you simply have to get dressed up. The outfits fall into distinct categories. The women wear something skimpy and dress up with accessories. For men, anything goes but there’s a lot of cross-dressing. Children like to wear Disney or movie costumes. Top Tip! There are lots of street vendors. You can buy outfits or accessories fairly cheaply. Accessories for sale by a sidewalk vendor. If you are going to get to Carnival in Rio, expect to get dirty. The streets can get muddy, beer can get spilled and garbage cans overflow. Don’t wear clothes or shoes you care too much for. On the other hand, I was surprised by how quickly the city cleaned up after itself for the next day’s festivities. Everyone we met seemed to like having their photo taken. Not only do they enthusiastically agree if you ask to take their photo, they will occasionally ask you to take their photo. Entire sidewalks will be full of people taking selfies. 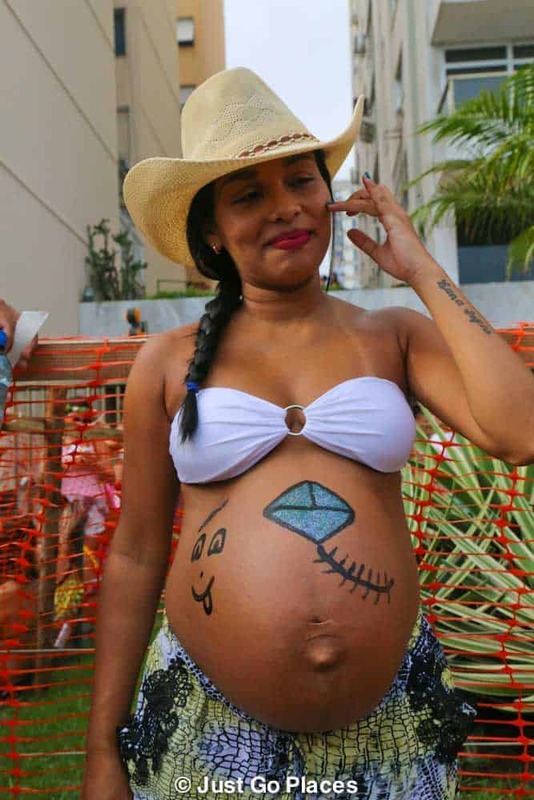 This little boy is attending his first carnival before he even enters the world. People like to to drink and party. We, however, did not see violence. 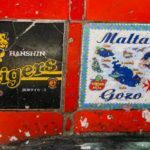 With the party atmosphere and the free-flowing beer, if Rio’s carnival took place in Britain, you know fights would have broken out, people glassed and the ambulances would be out in full force. Whether you are straight or gay, lots of men cross-dress. You should, however, be careful with your belongings in Brazil as pickpocketing is common. My friend saw a chain being snatched off someone’s neck right in front of her face. As you can see, your lpacking list for a Brazilian carnival involves minimal clothes, but don’t forget the belt bag, sunscreen and insect repellent! We wore our money in those traveller pockets that strap around your body under our shirts. Other people wore belt bags that they wore with a shirt untucked over the top. 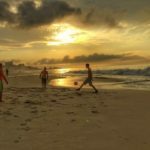 Frankly, not flashing your cash and keeping your money on your person is a good general tip for visiting Brazil anytime of year! We kept small bills that were easily accessible for buying drinks, snacks or souvenirs in our pockets. Women tucked their phone into their bras. Men who weren’t cross-dressing tucked their phones into their speedos. Yeah really. Top Tip! Don’t take a bag if you can help it. Use a belt bag or similar in Brazil to keep your personal items safe. It’s not like he has many other options where to put his phone. The sign says ‘yes’ by the way. Everybody wants to be your new friend. Brasilians are friendly and no more so than during Carnival. I had any number of people warn me to be careful with my camera. I didn’t have my expensive DSLR but the Olympus mirrorless camera I bought in Japan. It was still relatively flashy. Brasilian time is flexible. Don’t expect things to start on time. Don’t worry about being late for anything. 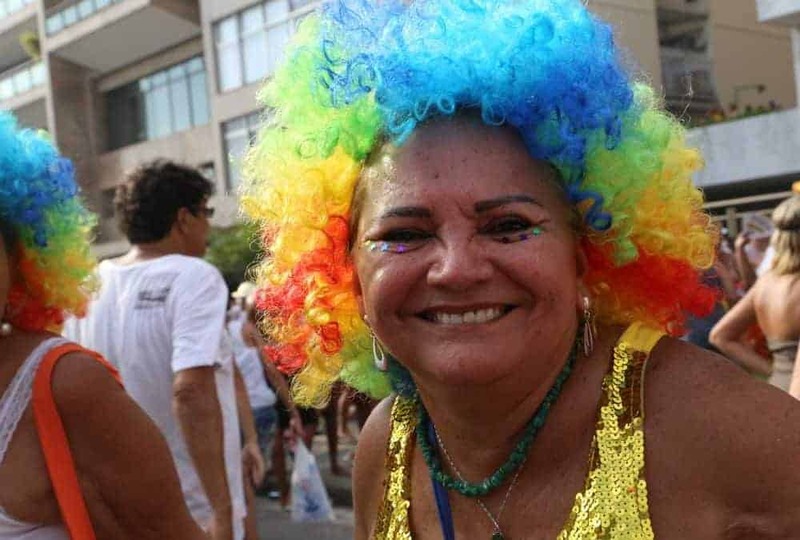 If you are going to carnival in Rio, the mantra “don’t worry, be happy” could not be more applicable. Clown hair and a sequin top. Why not? It’s a public holiday from Friday evening until noon on Ash Wednesday. The banks are not only closed but the doors to the ATM’s in the foyers are locked to prevent vandalism. Some of the shopping centers have ATM’s that work but they do run out of money by Saturday or Sunday. Tip: Make sure you have enough cash before the bank holiday starts. You can change foreign currency at the airport even during the bank holiday. Getting a taxi during peak carnival times can be difficult. Taxi drivers need to party, too! Streets get closed randomly and routes rerouted for the blocos. Top Tip! The new Rio subway system is clean and efficient. 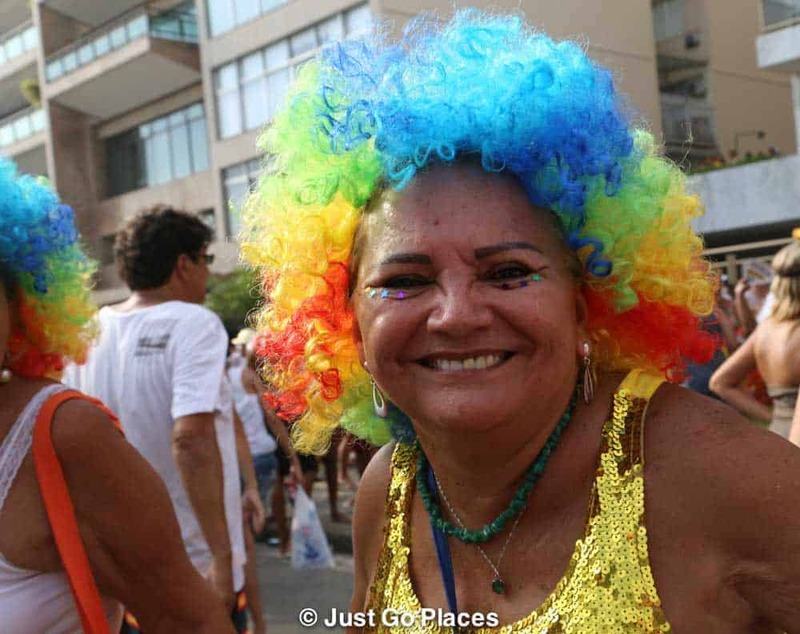 If you don’t want to deal with public transportation, stay in Copacabana or Ipanema where there are lots of street parties (blocos) happening. There will also be chartered buses to take you to and from the Sambodrome leaving from designated hotels. The parties mostly start in the late afternoon and run into the wee hours of the morning. Most people are probably sleeping off hangovers during the fierce daytime heat. If not, they are baking on the beach. Tip: February is the hottest month in Brasil. Be prepared to stay hydrated and to wear sun protection. The humidity will also make you wilt, and not in the glamorous way the Cariocas do. Everything in Rio gets more expensive for Carnival. They know they have you by the party whistles so there is nothing you can do about prices. We took our children to Carnival because we went with friends who also took their children. Our friends also brought their nanny with them which was handy for sending the children back to the apartment relatively early around 9pm – before the real partying starts! Top Tip! You should be able to organise babysitting through your hotel. Alternatively, bring a nanny or relative along to help with babysitting. Trust me, you will want to go out until the early hours of the morning. The children really enjoyed the Children’s Bloco as well as seeing the samba schools perform at the Sambadrome. 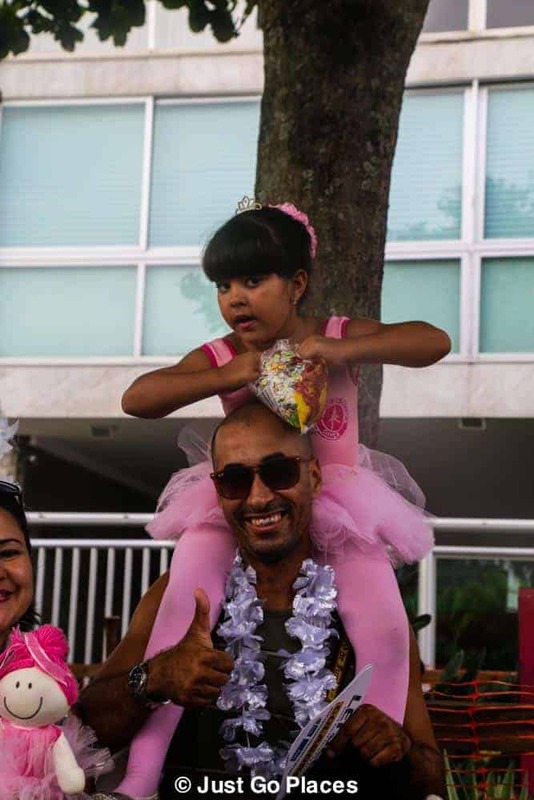 For children, there are also the children’s samba school parades on the tuesday (Fat Tuesday) which is free to attend at the Sambadrome. We saw lots of families with kids (both locals and tourist) out and about during the day. It’s really your judgment call on whether you think your child is able to handle the crowds and noise of carnival festivities. The issue wouldn’t be safety so much as the intensity of the experience. I loved seeing Rio shift into party-time as Carnival started. Wasn’t sure about all the guys in slips and beards but it all worked! Such fun and you give lots of great info for the next trip. I know right? The straight men seemed to have beards just so they could be separate from the gay cross dressers I thought. Those balls must be a lot of fun to watch, I’ve always wanted to go see this huge event, but the timing is never right. Will have to really bump this up on my bucket list of places for next year. It was always on our list but not sure we’d have done this year if our friends weren’t going. They did all the organising which was great for us! Although I’ve seen plenty of costumes from carnival, I hadn’t seen local people dressed up to celebrate the occasion. Interesting to see these snapshots of this elaborate party! I’d love to spend Carnival in Rio! The atmosphere, the people, the samba – it would be like a never ending party! My only concern would be how expensive accommodation becomes around Carnival – but I suppose you pay for the experience! Accommodation is crazy expensive. I actually had an offer of a hotel review in exchange for a place to stay option but we opted for an Airbnb so we could stay together with friends. Carnival in Rio sounds so cool. I think it would be so much fun to go and see all the craziness, parties and beautiful costumes. I have been to Mardi Gras in New Orleans and it was awesome. I’d love to go to Mardi Gras! I’ve not done that yet. I’ve always wanted to go to a Carnival somewhere. Love how they go all out. Thanks for all the tips. Yes we were amazed at how ride or die it was. People were jumping in front of my camera I kid you not!! Great post! 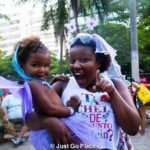 I enjoyed learning more about Rio’s Carnival and appreciate the information on traveling with children. Oh my god, that looks amazing. That beach looks insane, great tips for being organised at the worlds biggest party! Thanks for all the tips, especially about ATMs! I would love to do this one year! Cool tips! Love how colourful & cheerful everyone looks like! 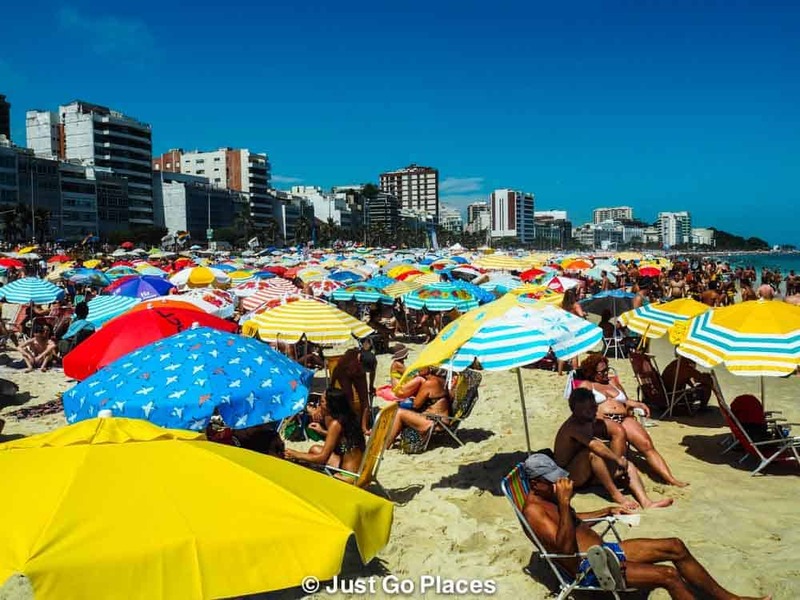 Not sure if I’d like to join the crowd on Ipanema beach though. Btw, the sentence about “if Rio’s carnival took place in Britain…” gave me quite a chuckle though because I know exactly what you’re talking about, ha ha! Sad but some otherwise nice Brits can go off the rails when they drink too much. Looks like so much fun! I would love the chance to go to Rio for carnival one day, it definitely seems like an experience! What a fantastic experience this must have been – I can’t even imagine the insanity! I’m pleasantly surprised to learn that the streets are pretty safe though. I’m sure your kids will be talking about this for years! It was fantastic but my kids loved the beach more than carnival itself!! How cool there’s also a children’s party on Carnival. Loved the pictures some are really funny and reminded me of Queen’s Day in Netherlands where also the whole city goes crazy but the cleaning up is so fast. I’ve heard Queens Day is a lot of fun! I’ve always wanted to go to Carnival in Rio. I love Mardi Gras in New Orleans and I’m sure this is even crazier. Thanks for sharing. This is something that I’d really love to do: visit Rio during the Carnival time. It looks a little intimidating however. I don’t like big crowds. It is super crowded so I don’t know if you’ll like it. You are basically moved along with the throng of people in a bloco. Carnival in Rio sounds amazing, I looked into spending a few weeks at a school working with children to build a float. It seemed a brilliant way to be right in on the ground of the atmosphere and the people, it would be one big party, and the accommodation issues would be covered too. Thanks for the excellent tips. Can’t wait. What a wonderful idea! I think the. That would be a lot of fun. Brazilian women are so pretty. I love this culture and I love football. I want to go there so badly and film but I’m scared about bring all my camera gear. I definitely want to see the festival!!! That for sharing!!! If be careful with camera gear in the big cities too. Outside in the countryside it is safe. As our guide said everyone know each other in these small towns. Hard to get away with anything. 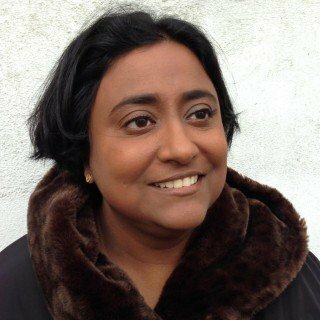 Shobha, I would love to go to Rio during carnival. I’ve been to many in Europe and it’s sooooo cold! I would love not to freeze for once. Plus, they do it right! I’ve been to the one in the Canaries and it was pretty warm. Not as warm as here though. You’d love it I’m sure! Hello, this is a great post. my husband and I are going to Carnivale in 2017, meeting up with our adult daughter. She has lived in Brazil at different times and is fluent in Portuguese which will be very handy. We’re just starting to search for accommodation and considering Airbnb for 5 days instead of a hotel. Having read this post and your other rio posts I feel a bit better prepared. Excited! Cheers, Sue. Have fun! Carnivale has great atmosphere. It’ll be great that you’ll be with someone who is a near local.